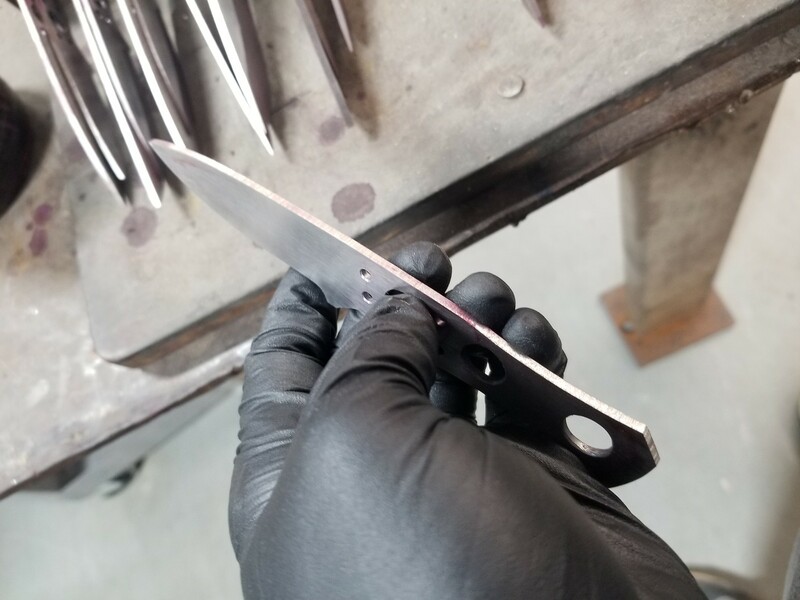 Discussion in 'Fiddleback Forge Knives' started by VANCE, Jan 17, 2019. Thanks for everyone's patience getting the last few Scandi's out. There have been Holiday's and a move that was not planned prior to kicking this one off. I apologize that there are still knives in the works. I assure you that we are working on getting everyone's order completed. Are these custom orders or somethin'? It was a group buy. Any more of these coming up @VANCE ? B Griffin and Nbrackett like this. Lady1911 and RobbieB like this. This group buy seems like a way for me to spend more money. I’ll be on the lookout for the next one for sure. Cool, thanks for the pic Phillip!! I'll never turn down a WIP pic of my knives. You going to taper it before of after HT?